To help you boost your confidence before you walk down the aisle and say “I do,” here are some key signs you’re ready for marriage. Whether you’ve been with your significant other for several years or several months, getting married is a huge deal. 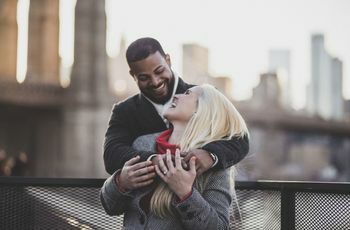 In addition to all the excitement surrounding your engagement, you might be wondering if you’re seeing signs that you’re ready for marriage. But the idea of “being ready for marriage” can mean different things for different people, experts explain. “From a counseling perspective, being ready for marriage means that two people have the ability to, at important times, put their individual preferences aside for the sake of the relationship,” says Julienne Derichs, licensed clinical social worker in Chicago. What’s important to you and to your partner might be different than the couple sitting at the table next to you when you’re out to dinner, but the key is that you and your partner are on the same page. It’s also important that you and your partner are happy with who each of you is on an individual level, as well as you each of you is in your relationship. Here are the major signs that you're ready for marriage. You know (and like) yourself. 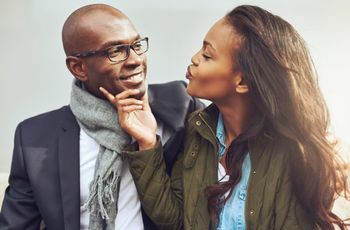 Though you might be used to focusing on all the things you like (and love) about your partner, but experts urge that, when it comes to a long-term partnership, it’s just as important to focus on all the things you love about yourself. Your significant other shouldn’t complete you, but rather add to the happiness you’ve already found in life, explains Dr, Sherman. “This puts less pressure on the other person to give you a viable life and a reason for living or to make you continually happy,” she says. You’re able to care for yourself. No one is perfect—and, if you’ve already lived with your significant other pre-marriage you’re probably well aware of this. So, before you walk down the aisle, it’s important to fully understand that along with the happy times, and the moments where your partner will exceed your expectations, there will be moments when he or she will disappoint you. “You have to pause and truly investigate the lingering doubts that come with marrying this particular person and know the trade-offs you are making in taking these features and characteristics on,” explains Kathy McMahon, psychologist and president of Couples Therapy Inc.
You’re clear on your life vision. You know your essentials and your deal breakers. You should know the main things you need in a partner to make a relationship work for the long-term. “Essentials for you may be someone who talks to you in order to solve problems, someone who is a great father or who someone likes his job and is financially stable,” explains Dr. Sherman. 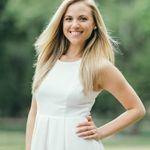 “Some deal breakers could be addictions, they don't want marriage or kids or they can be emotionally or mentally abusive.” She explains that knowing where you stand when it comes to these essentials and deal breakers before you get married can help you navigate some of the tougher times ahead. You’re not hoping your partner will change. Little requests, like not leaving dirty dishes in the sink or putting the toilet seat up, are totally normal, but wanting your partner to change in bigger ways, as in his or her personality, spells trouble for the relationship. “Most people who have a reasonable amount of flexibility and can adjust to things that make you feel uncomfortable and vice versa, as we’d expect in any healthy relationship,” explains Dr. Walfish. “However, basic temperament, personality and character does not change.” In other words, make sure you truly want what you signed up for in the beginning of your relationship—not what you think or hope could be.